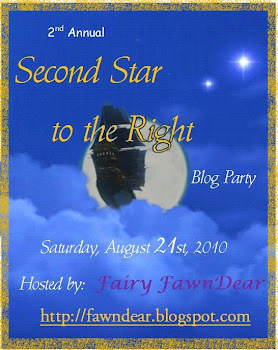 *Note: I don't have all of the pictures I want for this post yet, since this just happened last night, but I'm posting today for the Second Star on the Right Blog Party...I'll update with more/better photos as soon as I have them! My husband turned 33 years young yesterday. So, I decided to celebrate by bringing one of his favorite childhood movies to life. 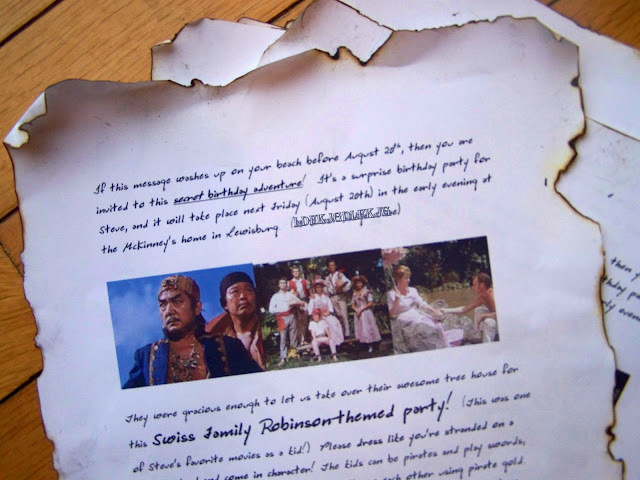 Swiss Family Robinson Birthday Adventure! THE VENUE: wooded backyard with awesome tree house...all of the kids loved it! ...and played capture the flag in teams...using "items that washed up on the beach" to protect their flags! THE GUEST OF HONOR: was kidnapped by rogue pirates, taken from his home, made up to look more "sea-worthy", blind-folded, and taken captive to his surprise birthday party. we were all pretty surprised to see his face painted up when they removed the pillowcase from his head! yes, they bagged him before they grabbed him! ENDLESS IMAGINATION: as the evening progressed, the princess turned black widow. There was constant sword-fighting, boobie-trapping, and role-playing. So fun! PLAY, PLAY, PLAY: ...like I said, I only took a few photos, so this doesn't represent all of the guests and fun outfits/play that was happening, but there were pirates, pirates everywhere. We made Treasure Map Quesadillas...yum! Smuggler's Cupcakes that looked like this (found here). We also served "Cannonball Curry" over rice and ate it pirate-style, with our hands and flatbread. THE MOVIE: when night fell, we had an outdoor showing of The Swiss Family Robinson. The children and adults were so happy! It was the perfect summer evening! And thanks to FawnDear for helping me to tap into my imagination to create some summer fun for my friends and family! What a fun party! 2 years ago, we had a pirate theme birthday party for my son. We had a treasure map for the kids and they followed it to a buried treasure; we actually buried a chest filled with goodies in the ground! It was fun! But your party looks so awesome and so creative! AHHHHHH! So love this! Loved Swiss Family Robinson as a child, it even motivated me to build my own(very un-safe)treehouse. I'm sure this party will go down in history as one of the funnest for both the young and young-at-heart. I'm so dreaming of being your neighbor now. Truly enchanting. Thank you SOOOOOOO much for participating in our Second Star Adventure! Now I've got to go look at all vicarious fun yet again. This totally takes the pirate party to a whole new level. so fun! Oh I need a fun neighborhood like that! That looks like SO much fun!! what an elaborate production-you could hire out as a party planner, looks like lots of fun! Oh, such fun, Jocelyn! Your little islanders are adorable in their search for treasure...I've no doubt you husband loved his birthday party. So many wonderful touches...the Smuggler's Cupcakes are brilliant! sounds like so much fun. 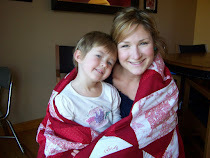 and I see pics of some of my favorite people. What a fun family party. How delightful! Looks like lots of family fun! Awesome party !Looked like so much fun ! Just looking through your last few posts and had to say that this was an adorable party! I love the movie night part at the end. This sounds like it was such fun.Growing up doesn't mean we have to grow old.